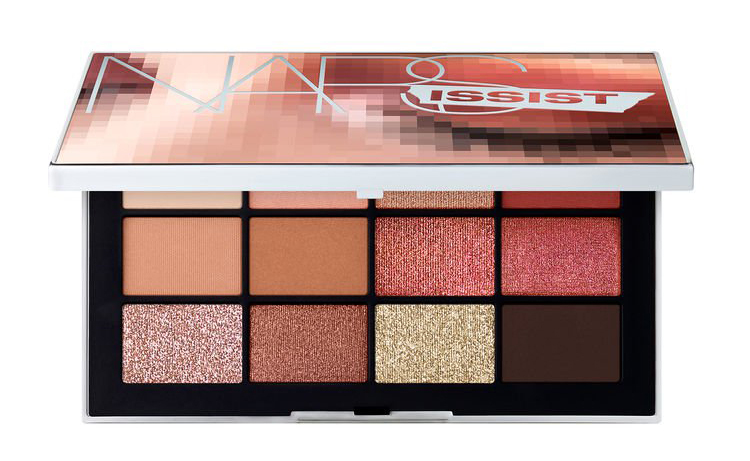 Nars have brought out this fabulous limited edition eyeshadow palette, the Nars Wanted Eyeshadow Palette. It is absolutely beautiful and it doesn't look like another version of many eyeshadow palettes that already exist. This palette offers something different. The shades are so pretty, you have some neutral pales and taupes but as well as these there are gorgeous shades of champagne, golden pink, rose and bronze, colours that work brilliantly together. And then you have a mix of finishes including matt, shimmer, satin and glitter. You can create an endless amount of looks with this palette, be as subtle or dramatic as you wish. Add a touch of glitter on top, or underneath your matt shades to create a hint of shimmer without too strong a look. Highlight the inner corners of your eyes and brow bone. The pigmented formula offers great payoff and when layered they all blend seamlessly together. With this palette, you can go in with the neutral base, add the mid brown and then take the deep brown for your liner. Here you have your typical everyday look. From here, you can step it up a level by taking one of the shimmer shades to add more sheen if you don't want a flat look. Or step it up the next level and go in with the glitter shades for a pop of colour on top of your look for a light catching effect, much like the Charlotte Tilbury pop colour in her palettes. The Nars Wanted Eyeshadow Palette is £55 and you are most definitely getting what you pay for.